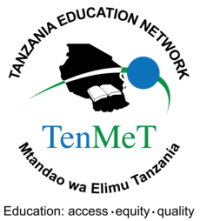 TENMET will be holding its 13th AGM in Dodoma Region for all TENMET members. The AGM will be conducted for two days (7 th – 8th December 2018) at Nashera Hotel. The purpose of the AGM is to enable TENMET to report on its affairs during the past year to its members and to deal with the following matters: electing a board members, making important decisions regarding TENMET, Sharing Audited financial report and informing members of previous and future activities.